See where we are going here? By storing a phishing form in Azure Blob storage, the displayed form will be signed by a SSL certificate from Microsoft. This makes it an ideal method to create phishing forms that target Microsoft services such as Office 365, Azure AD, or other Microsoft logins. The use of Azure Blob storage to host a phishing form is exactly the type of attack cloud security provider Netskope recently discovered. 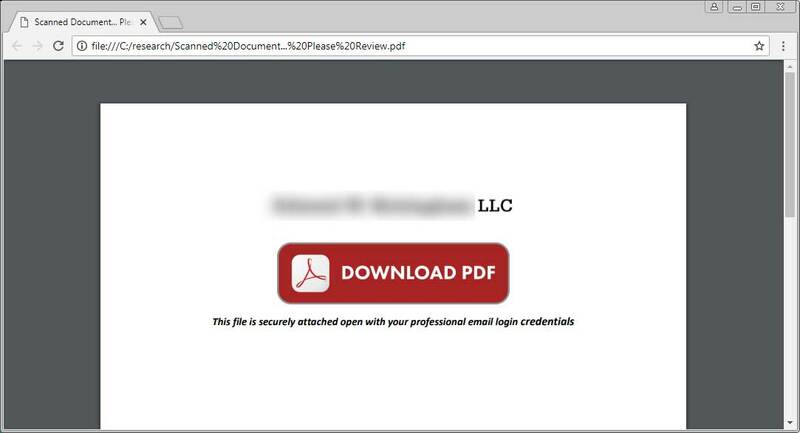 In this attack, bad actors are sending out spam emails with PDF attachments that pretend to be from a law firm in Denver. These attachments are named “Scanned Document… Please Review.pdf” and simply contain a button to download a supposed PDF of a scanned document. 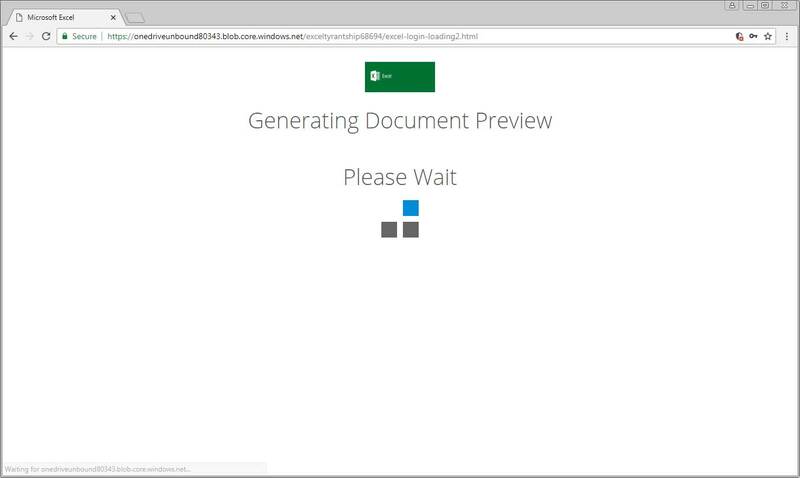 When users click on this link they will be brought to a HTML page pretending to be a Office 365 login form that is stored on the Microsoft Azure Blob storage solution. Notice how the URL https://onedriveunbound80343.blob.core.windows.net indicates it is a blob. As this page is also being hosted on a Microsoft service, it gets the benefit of being a secured SSL site as well. 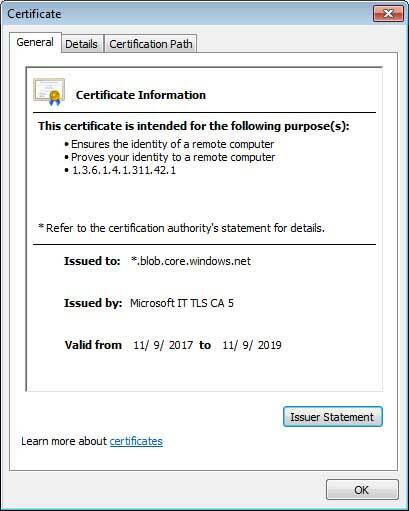 For those users who may be suspicious of the strange URL, if they look at the certificate they will see that the page is signed by a SSL certificate issued by Microsoft IT TLS CA 5. 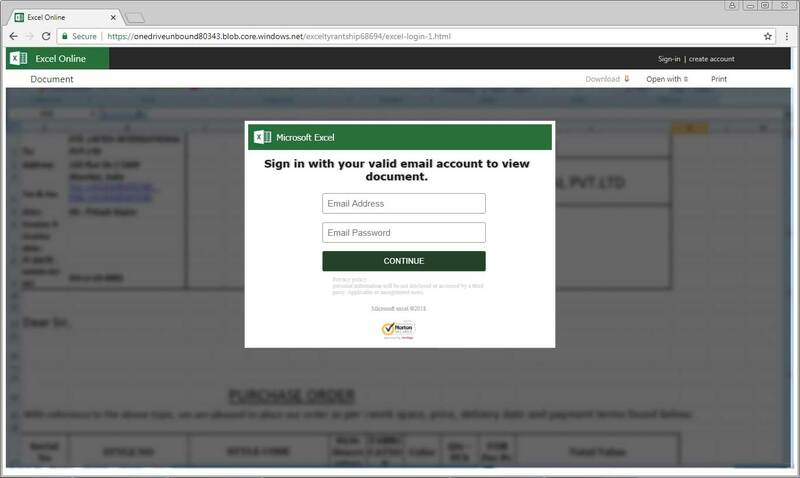 As this is a supposed Office 365 login and the site is secured using a Microsoft SSL certificate, many may be convinced that this is a legitimate sign-in form. Once a user enters their information, the form will submit the contents to a server operated by the attackers. After the form is submitted, the page will pretend to get the document ready to be downloaded, but will ultimately just redirect the user to the https://products.office.com/en-us/sharepoint/collaboration Microsoft site. While more experienced users may not fall for this attack due to the strange URL, others may be more convinced because the page utilizes a certificate from Microsoft and thus must be safe. To better protect users from these types of evolving threats,Netskope recommends that companies properly educate their users to recognize non-standard web page addresses.